Last Updated: Apr 16, 2019 @ 2:40 pm. The Best Baby Carrier 2019. ERGObaby’s Ergo Omni 360° is our top pick for best front carrier 2019. Compared to its many rivals, the Ergo Omni 360° has best-in-class quality, construction and safety. As the name implies, the Omni 360° is a front carrier that allows you to face baby out as well as in, plus piggy back or on the hip. New to carrier shopping? Read our 7 Things No One Tells You About Buying a Baby Carrier for advice and tips. ERGObaby debuted their first front carrier in 2002. Designer Karin Frost wasn’t satisfied with carrier options when she had her first child, so she created a soft-structured carrier with multiple positions. First sewn in Hawaii, the original ERGO design worked in three positions: front carry facing inward, back carry and hip carry. ERGO refined the concept over the years, culminating with the Omni 360°, which adds that fourth position of forward facing out. The new structured bucket seat of the Omni 360° makes forward facing more comfortable for baby and avoids those dangling legs. You can wear baby in four different positions, up to 45 lbs. Our readers praise this carrier for its overall quality and ease of use. ERGObaby Omni 360°: More details. Price at Check on Amazon, Omni 360° is made with a structured bucket seat that keeps babies legs and hips in a correct position (no dangling legs). It comes with a wide waist belt, which can be worn high when baby is little and adjusted down to carry the weight of older babies and toddlers. A plus: the Omni 360° can be used with infants as small as 7 lbs. without a special infant insert. Older versions of the 360° required a separate insert ($25 extra). New in 2018, ERGObaby released a variation on this carrier, the Omni 360° in “cool air mesh” $175.00. This version swaps the buttons that narrow the seat with sliders for an easier, one-handed adjustment. The mesh version comes in four colors and runs $175.00. The ERGObaby Omni 360°‘s weight range is 7 to 45 lbs. As mentioned before, the Omni 360° can be used in four positions included forward facing out. The forward facing out carry is recommended for babies six months old and older. The straps on the Omni 360° can be used in the traditional H position or crossed in the back for a more custom fit. Feedback on the Omni 360° from parents has been mostly positive. Ease of use is excellent say readers. Critics of this carrier say the hood is too small and doesn’t store away. A few complain that the back latch is uncomfortable and hard to buckle (when used in the H-strap configuration). Despite these minor concerns, the ERGObaby Omni 360° is an excellent carrier that wins our overall pick for Best Carrier. Runner up for the best carrier is the Pikkolo from Cat Bird Baby. This carrier is a mash-up of a front carrier and a mei tai with buckles instead of long ties. It’s also more flexible than most other front carriers—it can be used in front facing both in and out, on the back and as a hip carrier. The Boba 4G Carrier can be used as a front carrier for infants without a special insert and goes up to 45 lbs. as a back carrier. We’ve been rating and reviewing baby carriers since 1994. In addition to hands on inspections (we tried on a lot of carriers!) of front carrier, we have also visited with manufacturers and retailers—and when we travel, we pay our all of our own expenses. We also evaluate consumer reviews posted on sites like Amazon, as well as our own message boards. Here’s another key point: we don’t take money from the brands we review. No free samples, no sponsors, no “partnerships.” Baby Bargains is your independent and unbiased source for expert baby gear reviews. We’ve been writing and reviewing baby gear since 1994. Yes, that long! We evaluate carriers with in-depth inspections, checking models for overall quality and ease of use—for example, checking the ease of adjustment between smaller moms and taller dads, as well as detailed analysis fabric, fasteners and construction. We also gather significant reader feedback (our book, Baby Bargains has over 1 million copies in print), tracking carriers on quality and durability. Besides interviewing parents, we also regularly talk with retailers of retailers to see which brands are most trustworthy and other key quality metrics. The reliability of carrier manufacturers is another key factor—we meet with key company executives at least once a year. Since we’ve been doing this since 1994, we have developed detailed profiles of major carrier brands that help guide our recommendations. See below for links. 7 Things No One Tells You About Buying A Baby Carrier! 1. Wait! There are THAT many different types of carriers? Do you want a soft structured carrier? For infants or extended use? What about slings? What the heck is a Mei Tai? A rum-based drink from Hawaii? • Front carriers (AKA Soft Structured Carriers or SSC) are the most well-known and popular of all the carrier types. The 800-pound gorilla in this category is the Baby Bjorn, which is Sweden’s most successful export since ABBA. Front carriers basically are designed like a fabric pouch worn on your chest with straps connecting at the shoulders and waist with buckles or snaps. These type of carriers are made for infants up to around 30 pounds although some hybrids like the Boba 4G can carry older kids up to 45 lbs. Nowadays, soft structured carriers are more flexible, allowing baby to be carried on your back and hip as well as in front. The Baby Bjorn One is one of the top selling soft structured front carriers. • A sub category of front carriers is the mei tai (meh dai), or Asian carrier. Inspired by carriers used in Asia (particularly China), mei tais have an unstructured body and are tied on rather than buckled. This allows for infinite adjustment. Moby makes one of the best mei tai carriers on the market. • Slings and pouches (which are unstructured carriers) have been around for centuries. These carriers are basically pockets of fabric that can be adjusted with a ring or velcro. Babies can recline in slings or sit upright once they’re old enough. Most slings and pouches are only rated up to 35 lbs., so they are more appropriate for infants. Maya Wrap Ring Slings come in both padded and unpadded versions. • Wrap around carriers are one long piece of cloth that is twisted and folded to create a pouch for baby. Typically the fabric has some stretch to it. This type of carrier has the steepest learning curve for parents. Most designs are intended for smaller, younger babies up to 35 lbs. Wrapsody’s Breeze baby wrap is lightweight and can be easily adjusted to fit anyone. • Backpack or frame carriers are designed for hiking with lightweight aluminum frames, high quality waterproof fabrics and ergonomically designed straps. Many include sunshades, lots of storage and adjustable seating as baby grows. Kelty’s Transit 3.0 is a popular option for parents who want to hike with their little ones. 2. Think about how long you envision using a carrier. The most common baby carriers (Baby Bjorn Original, for example) are designed for use up 25 lbs. The average boy would reach this weight around 18 months (girls a few months after that). Other carriers aim for extended use, up to 30 or even 45 pounds (that’s a three or four old). Our advice: there is no right or wrong answer to this question. Perhaps you only envision using a carrier in baby's first year. If extended baby wearing is something you’d like to try, you’ll need to focus on brands with higher weight limits, like ERGObaby, Boba, Beco and so on. 3. Just because you love a carrier doesn’t mean you baby will. That's right—some babies can be darn right fussy about carriers. Your baby may love carrier A but hate style B, so hang on to your receipt (or buy from a source with a good return policy). Every baby is different, so a carrier that works for your sister-in-law may induce screaming fits from your baby. Some moms actually buy a couple types of carriers to see what works, then return the ones that don’t. 4. Baby wearing looks simple, but be aware of these key safety precautions. Premature infants and those with low birth weight (under 7 lbs., including twins or infants with breathing issues such as a cold) should not be placed in a sling. Make sure the infant’s face is not covered and can be seat at all times regardless of the type of carrier you’re using. Frequently check on your baby to make sure he is breathing. 5. Some carriers have a steep learning curve. An example: wraps. These long pieces of fabric need to be wrapped surprisingly tight to keep baby in the proper position and support a parent’s back. This can take some practice. Wraps are difficult to learn at first, so check the instructions and videos for tips and help. Even some soft structured carriers have lots of buckles, Velcro and adjustments that can get complicated. Yes, slings are the easiest carrier to use, but still may require a little practice. Make sure you read the directions, watch instructional videos online and practice before you try your carrier with an actual baby. The first few times, you may want to have a second person handy to help you get all the adjustments correct. 6. Cheap carriers come with a hidden cost. Yes, there are $15 baby carriers at discount stores. What’s the difference between this and our recommended carriers, which run about $150-$200? A truth about carriers: a cheap carrier is no bargain if it hurts your back or is uncomfortably hot. And sadly, those $15 carriers score low on parent happiness, according to the many interviews we've done over the years with parents. When purchasing a carrier, investing more money buys comfort and ease of use. For example, the fabric is softer when you spend more and the padding is thicker. Often hook and loop closures are industrial strength (Velcro vs. Aplix, for example) with more pricey carriers. Deluxe slings may come with padded side rails and more expensive back pack carriers may have toddler stirrups to help older kids sit up comfortably. 7. Optional accessories are often worth the price. Drool bibs that attach to carrier, sunshades for backpack carriers, extra long straps to fit a spouse—all worthy extras! One of our faves: teething pads for the ERGObaby carriers. Love ‘em. Teething pads for the ERGObaby carrier run and extra $20. 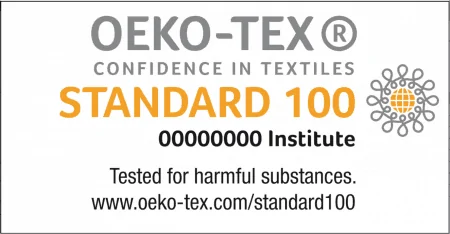 There are three international organizations that test and certify textiles. These are OEKO-TEX, Global Organic Textile Standard (GOTS) and IVN Naturextil. All three of these certifications are optional—there is no legal standard for organic, non-allergenic, chemical free textiles in the US. Many of the companies that are certified are European, with only a few US brands certified. Here’s a bit about each of the three organizations. 2. GOTS (Global Organic Textile Standard) certifies textiles as organic. To meet their qualifications, “Only textile products that contain a minimum of 70% organic fibres can become GOTS certified. All chemical inputs such as dyestuffs and auxiliaries used must meet certain environmental and toxicological criteria. The choice of accessories is limited in accordance with ecological aspects as well. A functional waste water treatment plant is mandatory for any wet-processing unit involved and all processors must comply with minimum social criteria.” Basically, beyond using organic materials, companies must also be socially responsible to their workers and the community. 3. Textile Exchange. 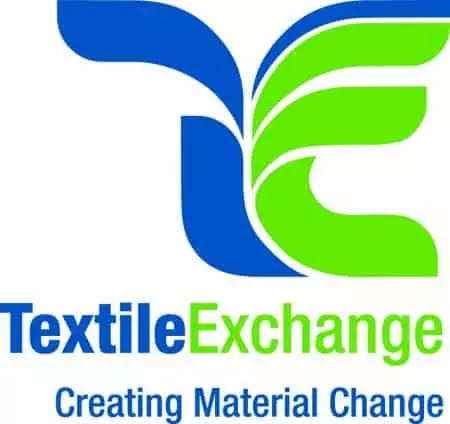 Previously referred to as the Organic Exchange (OE) Standard, the international Textile Exchange certifies textiles according to their Organic Content Standard (OCS). They verify the steps in the supply chain to make certain the materials used in end products like diapers are sustainably sourced/grown, processed and manufactured. Hi! I heard that people were not happy with the LOUD velcro sound that often wakes baby on the Ergo 360. Did they fix that in the Ergo 360 OMNI? Thanks! Good question—I don’t think they changed that. We will double check however! Any chance you have or will review the Lillebaby Complete 360 carrier? I’m interested to hear how it is overall and how it compares with the Ergo 360 Omni. We will put it on our to do list! thanks for asking! Thanks for your reviews! Do you have any thoughts on the Infantino carriers? Hi Lane! Thanks for the message! We haven’t yet reviewed Infantino carriers. They certainly have a devoted following and rate pretty well with parents. If you decide to purchase and Infantino, let us know what you think and we’ll consider it for a review in the near future. Will you review the Osprey child carrier? We haven’t yet, but we will add it to our to-do list! Thanks for visiting our site!